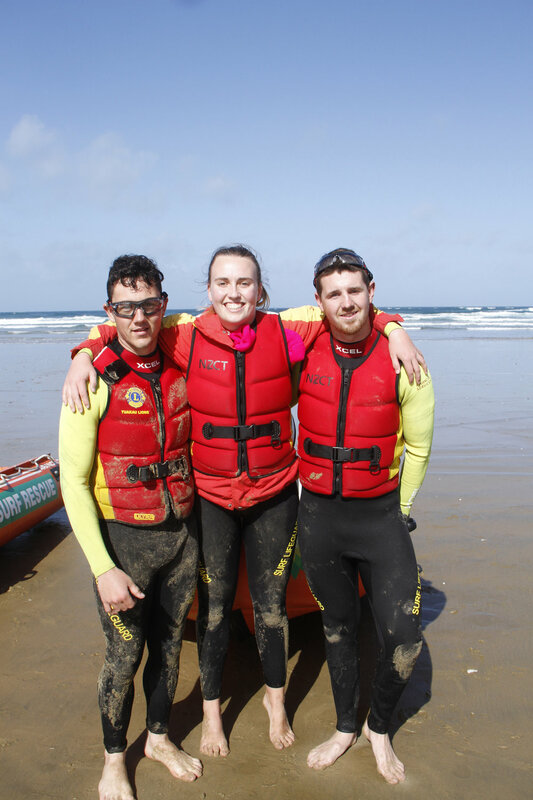 Sunset Beach Lifeguards have taken 1st and 2nd place in the endurance race along 90 Mile beach. Conditions were lumpy but the rain kept away during the race for the 36 teams that started the race. Shane Edwards, Mark Edwards and Hogan Shrimpton were first to the finish line in 2.16 hours. 2nd place went to Lewis Powell, Taylor Shrimpton and Mikey Waldegrave with just a 3 minute gap between 1st and 2nd. Robbie Shrimpton, Jack Morgan and Sam Hughes finished in 8th position. Glen Richards, Flynn Avery and Sam Coughlan finished 17th after flipping their boat but managing to reinstate with a new motor and finish the race. Sunset Beach retained their first and 2nd positions from last year and top club with 398 points, Bethells with 214 points in 2nd place.